A loan of $925 helped to meet the costs of his 1st year at the University. 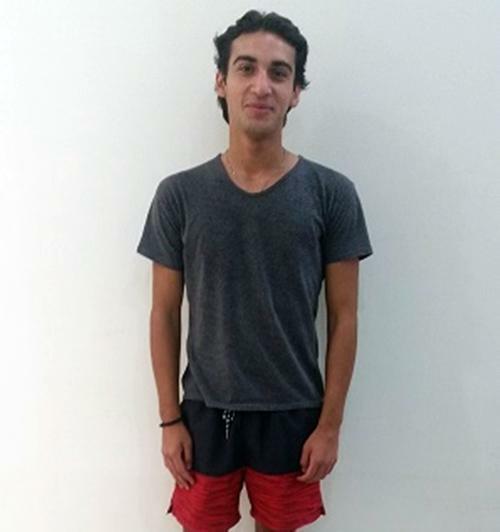 Begi is an 18-year-old young man from Kaspi district. He has parents and a school-aged brother. Begi graduated from secondary school and successfully passed the exams for enrolling at the Georgian Technical University. He is very eager to study at the faculty of Law and International Relations and get a Bachelor's degree. Begi is a very motivated person who is confident about his potential. After graduating from the University, Begi believes that he will have a lot of opportunities to compete and will find a good job with his profession. Now, he needs financial support to pay for his 1st year tuition fees and start to act in life challenges. This motivated man relies on the goodwill of Kiva lenders and will highly appreciate support and kindness. It allows low-income students to pursue education and find jobs before repaying. Credo and Kiva launched this type of loan to allow those who have no other options for financing their education to access a low-interest loan. This means that low-income students receive an affordable interest rate and an optional grace period that lasts during the student's entire studies. This allows students to secure an income before worrying about repayment obligations, but also means there is a longer loan term that may make this loan more risky. Additionally, funds are directly paid to the student's educational institution at the beginning of each academic term. By supporting this loan, you’re contributing to a groundbreaking loan product that empowers this student to secure a better future.